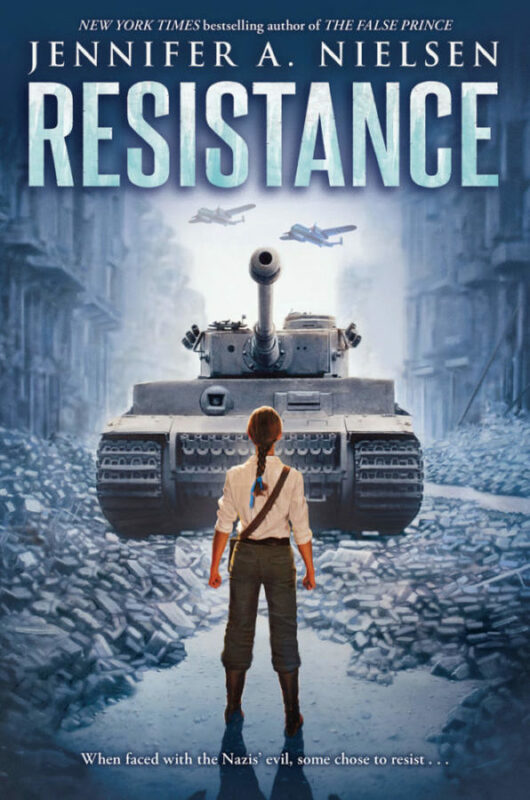 Resistance, by Jennifer A. Nielsen, is an intense World War II read full of tension and action. This is not Jennifer’s first foray into historical fiction. In 2015 she released A Night Divided, about the Berlin Wall, to great acclaim. Like A Night Divided, Resistance is perfect for a movie, book or play. Jennifer’s plotting is spot on and her characters are flawed but perfectly suited.